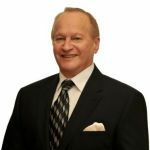 Robert brings an impressive resume having developed and expanded some of the most well known real estate organizations in North America including RE/MAX, Sutton Group, and Realty World Corporation. Robert has an incredible track record for successfully identifying and capitalizing on market opportunities to drive revenue growth, expand market penetration and win dominant market share by creating innovative business opportunities. Robert is the perfect fit for the 2% Realty business model, as in real estate, he’s done nothing but overthrow the status quo for the past three decades. Robert, who currently resides in Vancouver, BC played a general’s role in building RE/MAX in the mid to late ’80s, which drastically reshaped the way Real Estate Agents operate by changing the way they earn commissions. Less than 30 years after it was born, RE/MAX was the top-selling realty firm in the world. Dymont then took on the role of CEO of Sutton Group, leading that outfit from upstart to the No. 2 spot in Canada by again changing the rules of engagement by tweaking the way Real Estate Agents are paid.